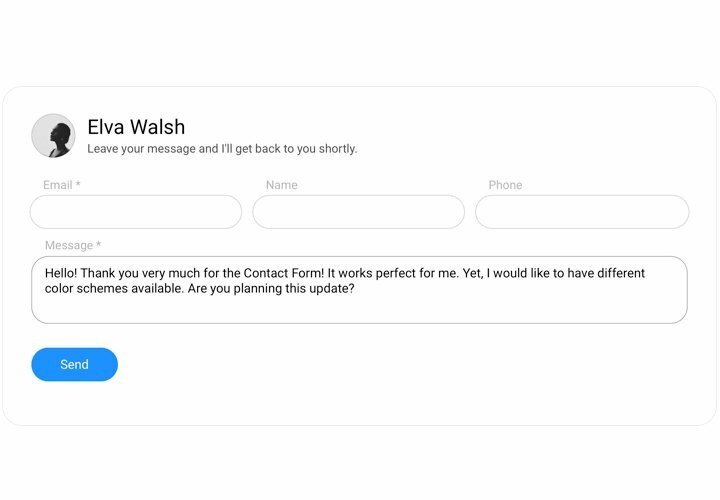 A simple Contact us Form suits any need in receiving impressions and requests from users of your site. 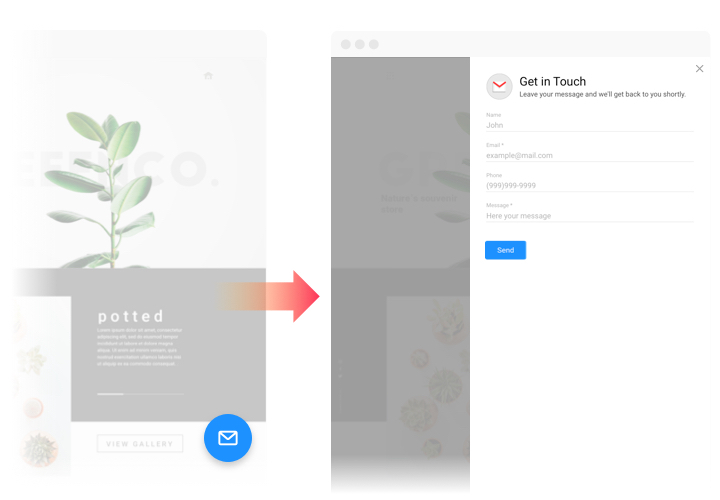 Display additional elements for filling, choose the desired layout (simple or floating form) and customize the look, to trigger your visitors to leave a review about your goods or company. 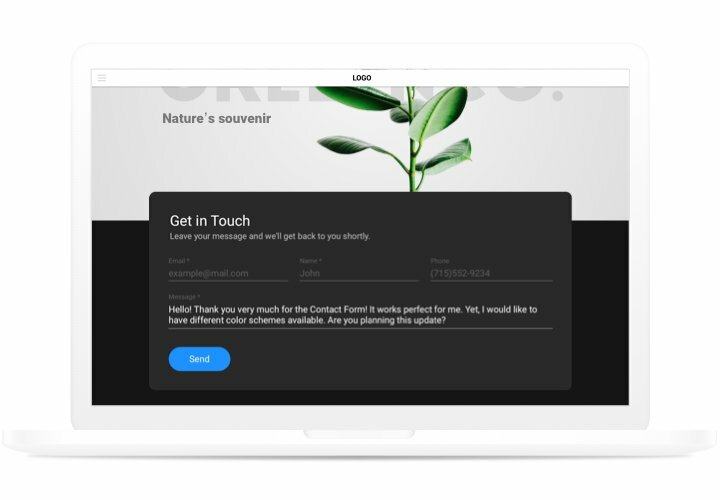 Collect feedback, take orders and answer messages of your website visitors! Boost the quantity of new customers. 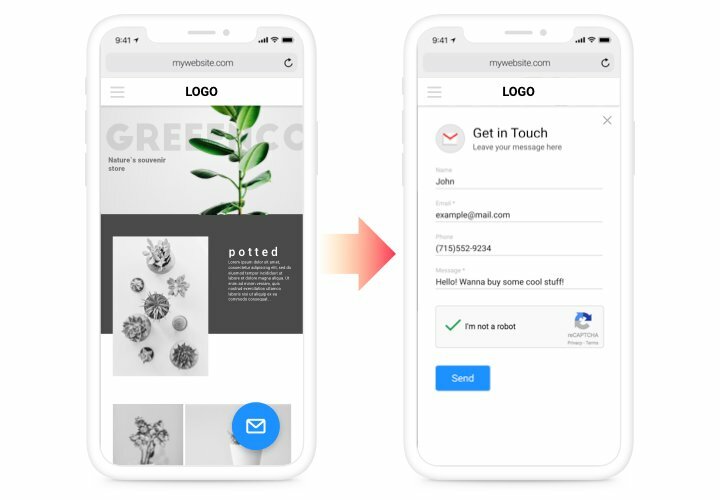 Keep continuous interaction with future clients 24/7 via an efficient form on your site and find users who are on their way to purchase. Problems, misconceptions, and opinions about your goods or service help realize the needs of your website audience and design a policy of future company growth. Preserve electronic mailbox from bots. Don’t allow getting bots in your e-mail. 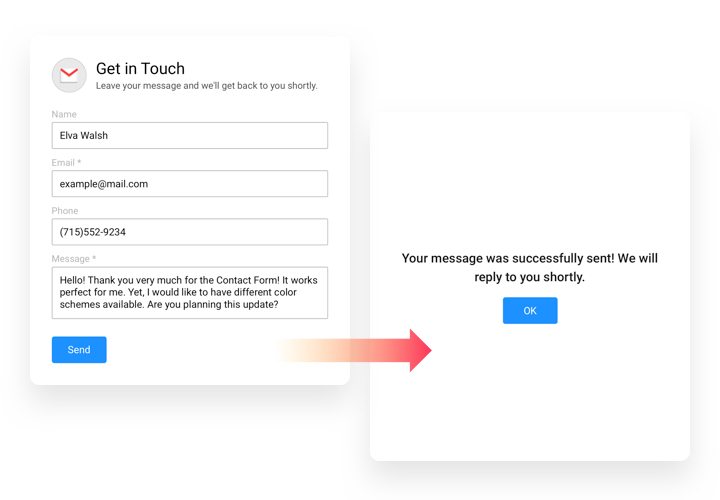 Elfsight Form is equipped with Google CAPTCHA to protect your e-mail from automatic spam and bots. Follow our manual, to add form to your website. No need to have skills in development. Full installation time is about 1 minute. 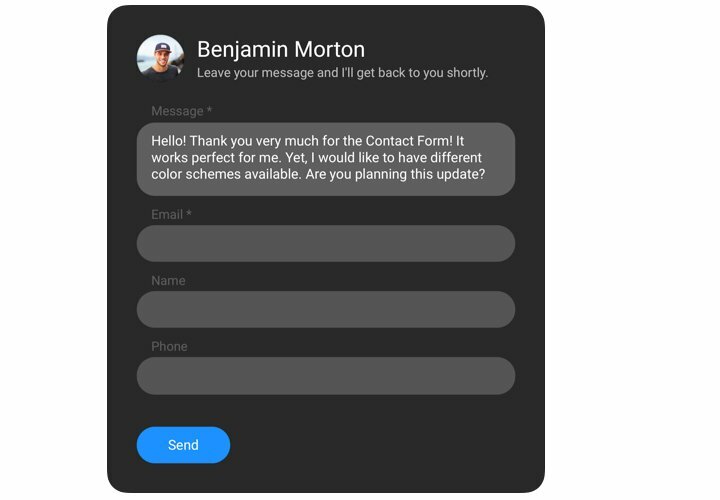 Construct your custom-made Contact plugin. Using our free configurator, create a plugin with desired layout, functions, fields and captcha. Get a code for showing the plugin. After widget customization, acquire a code for jQuery contact plugin from the popup notification on Elfsight Apps. Embed the plugin on website. Insert the plugin into the required place of the page and apply the edits. Enter your website, to see your plugin. Stumbled on anything while applying the tutorial or creating your simple form? Contact Elfsight help center with thorough explanation of your question, and our team will be happy to help. Create jQuery Contact Form right now here!